Elizabeth Turnbull assessed The Reebok World Headquarters and an adidas Group distribution facility for energy savings. The adidas Group, a leading global sports, footwear and apparel company based in Herzogenaurach, Germany hosted 2010 EDF Climate Corps fellow Elizabeth Turnbull, a joint MBA/Masters of Environmental Management student at Yale University. Her fellowship encompassed the assessment of two buildings: The Reebok World Headquarters in Canton, Mass., and the adidas Group distribution facility in Spartanburg, S.C. 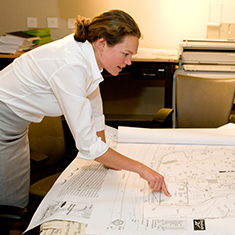 While some of her projects involved capital expenditures, Elizabeth identified many energy savings that could be captured through managing existing systems with no up-front cost. Overall, her project portfolio could save adidas $336,300 annually and represents over $1.5M in net-present value. Combined, the projects pay back in less than 1 year. This represents avoiding 4.8M kWh and 2,360 MT CO2 annually. Elizabeth Turnbull, a student at Yale University, was hired as the 2010 EDF Climate Corps fellow at adidas.